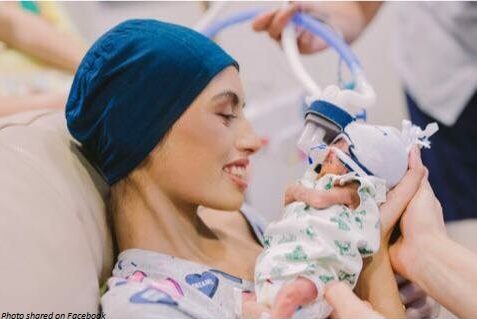 Nineteen-year-old Brianna Rawlings was thrilled to be a mother when she got devastating news: she had been diagnosed with leukemia. The brave mom chose to fight for both her life and that of her son, risking her own life for him. Tragically, she passed away last month, just days after her birthday and months after her little boy died as well. Yet Rawlings seemed to have no regrets, calling the days she spent with her son the best of her life. Rawlings explained that doctors diagnosed her with leukemia after she began to suffer horrible pain. “Test after test finally revealed an infection somewhere in my body,” she told the Daily Mail. “The doctors didn’t allow me to leave until they found the reason behind the pain and sickness. They checked my heart and all other organs but came up empty so they suggested a bone marrow biopsy.” It was then that they discovered she had aggressive NK-cell leukemia, a very rare form of leukemia that is usually treated with chemo. “After it was explained to me I was very surprised and angry as I didn’t expect it to be this serious,” she said. “I just thought it was just morning sickness.” But Rawlings remained committed to giving her son the best chance she could at surviving. But tragically, things only got worse. Rawlings came down with a blood infection at six months, forcing her to undergo an emergency c-section, delivering Kyden extremely premature. At first, it appeared that Kyden would survive; when he was born, he was breathing and crying, an extremely good sign for preemies. Tragically, he died just 12 days after birth. But Rawlings seemed to have no regrets. Rawlings gave her life for her son without hesitation, and even though he lived just 12 short days outside the womb, his life, and the life of his mother, has touched people all over the world.